The dictionary defines amplify as “increasing the volume or strength of sound.” As regards a guitar amplifier, though, there’s really a lot more than that going on. We might even argue that “increasing the volume,” as obvious and essential as it might be, is pretty far down a long list of characteristics that endear our favorite amps to us. More to the point, your amp plays a huge part in shaping your sound; for that reason, as I’ve often written, an electric guitar is really only half an instrument without it. Different amplifier circuits do this job very differently and render your tone in dramatically different ways. Therefore, it’s worth knowing what you can expect from any amp right from the start. Let’s take a look at some basic preamp topologies and get some insight on what type of tone alchemy each is likely to perform. Note that this installment is probably most appropriate for players who are fairly new to the topic, but it’s important to start somewhere. This starter-discussion, therefore, will prime you on the basic and primary differences between simple low-gain circuits, which we might also call “vintage” or “vintage-style,” and modern high-gain circuits with a view to understanding what you can expect from each sonically. I’m only addressing tube amps here, but since most solid-state and digital modeling/emulating amps base their sounds on original tube templates, much of the same knowledge should apply to whatever type of amp you use. The two most important parts of any amp that you need to get a handle on are the preamp stage and the output stage (aka power amp). Plenty more goes on inside most amps, but these are where the majority of the tone shaping happens. This installment will deal with the preamp stage, and we’ll tackle the output stage another time. For our purposes, we’ll consider the preamp stage as everything from the input to the junction with the output stage. I’ll include the tone controls, too, and everything else up to the output stage itself other than any reverb, tremolo or other effects or FX loops placed in between these two main stages. A more in-depth discussion might separate out any EQ stages, but we don’t need to go as far as that here. The preamp stage uses smaller tubes, called preamp tubes, to achieve the first gain stage(s) within the amp — that is, the points at which your low-level guitar signal is amplified into the larger signal necessary in this early part of the process. 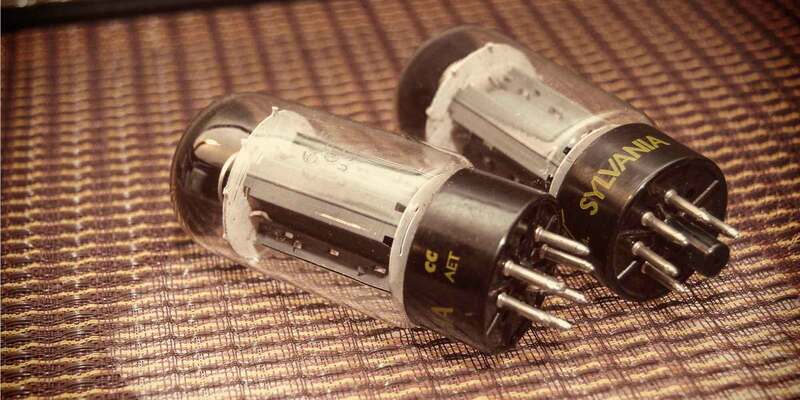 The most common preamp tube types, such as the 12AX7, each contain two separate gain stages (they are two tubes in one, essentially). The way in which this first gain stage does its job plays a huge part in determining how your guitar tone will come out the other end. Although later stages play a part, this is where the largest degree of clean vs. overdrive is determined in most amps, and where the bulk of the frequency range is shaped. Low-gain preamp circuits, which we might also call vintage-style, since most amps of the ’50s and ’60s had lower-gain preamps, tend to be less involved and have fewer gain stages. They generally apply just enough preamplification to get your signal to a level that the output stage can handle. As such, they lean towards a cleaner, less distorted sound when the volume control is kept within reason — maybe up to 4 or 5 on the dial, give or take. Many low-gain or vintage-style amps are also known for their juicy overdrive, which is achieved by turning that volume control up higher, of course, at which point it does start to distort and push the output stage harder, too (more on this another time). 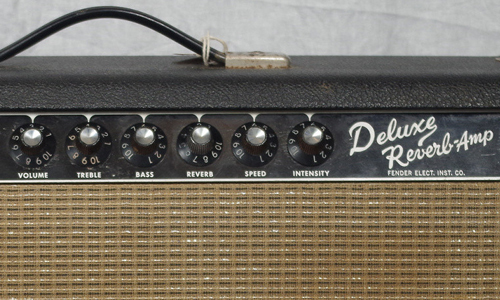 Some — the popular Fender tweed Deluxe and many copies, for example, or the Normal channel of a Vox AC30 — have just one gain stage, with a simple tone control attached to it to “bleed off” treble according to where you set it. Others, such as the later blackface Deluxe Reverb and similar, have multiple tone controls (treble, bass and sometimes middle) in a more complex EQ circuit sandwiched between two tube gain stages. This doesn’t always make such amps a lot “hotter,” though, because that second stage is necessary to recover some signal level that is lost in the more-involved tone network, which also allows more fine-tuning of your frequency range. Still others, such as larger tweed amps, the Vox Top Boost channel and the Marshall Plexi-style preamp, have a first-gain stage followed by another tube that drives the tone network that follows it. In the most basic sense, the results are somewhat similar in all of these in that the ratio of clean-to-overdrive in low-gain preamp types correlates fairly directly to their volume levels. Yet each of these amps shapes your guitar signal somewhat differently, leading to variations in tone, distortion and playing feel. All are technically low-gain circuits, but some players will express distinct preferences for one over the other according to how they perform. A more modern type of circuit, the high-gain preamp has some elements in common with the traditional low-gain preamp, but it uses additional gain stages, meaning extra preamp tubes, beyond those needed for basic initial gain and EQ duties, purely to enable you to produce more distortion from this part of the amp. Some basic types, a 1980s Marshall JCM800 for example, might have just one more gain stage in addition to that of the vintage-style Marshall Plexi amp. Those achieving extremely high gain for hot contemporary distortion tones (think Bogner, Soldano, Mesa/Boogie) might have several. In addition to any volume control that governs the first gain stages in such amps, which might also be called “gain” or “drive,” high-gain amps usually have some form of “level” or “master” control that lets you determine the final volume level produced by the amp’s output stage after you have ramped up the distortion in the preamp stage. Many high-gain amps are also channel-switching amps and include a second channel that is configured as a low-gain preamp so you can switch between a clean and distorted sound on the fly, like for rhythm and lead. Except for a few esoteric examples, almost all high-gain amplifiers have a master volume control, which is necessary—as above— to achieve your desired overdrive/distortion level at a manageable overall volume level. In such cases, the first volume, gain or drive control (the name can vary) sets the gain of the first preamp stage while the master volume governs how much signal is passed on from there to the output stage. A master volume can be placed toward the back end of the preamp stage, or in an early part of the output stage. Many modern high-gain amps with multiple gain stages will have corresponding multiple gain controls within the preamp in addition to a master control in the output stage to govern overall volume. If your amp has a lead channel with controls labeled gain, lead level and master, for example, this is most likely what you are seeing. The lower the setting of the first control relative to a higher setting of later controls, the cleaner your tone. The higher the setting of the first control, relative to lower settings of later controls, the dirtier your tone. For example, you might set a drive control at 3 o’clock and a master volume at 9 o’clock and get roughly the same overall output volume as you get by setting these two controls to the reverse, but the first configuration will give you a much cleaner tone, while the second will give you an extremely hot, distorted tone. If your amp carries no master volume and just a single volume control, or one individual volume control per channel, that’s a good indication that it has a low-gain preamp. That doesn’t mean you can’t push it into overdrive, but you will usually need to turn it up pretty loud to get there if you’re not using an overdrive or distortion pedal in front of the amp to achieve your lead tones. A popular alternative these days is to use an output attenuator between your amp’s output and speaker, which enables you to turn up the amp to where it sounds best for your music, then rein in the volume at the attenuator’s own level control. Many more contemporary guitar amps with low-gain preamps also have master-volume controls these days. This configuration doesn’t usually enable you to achieve true high-gain lead tones as such, but frequently enables you to generate some decent crunch, or even vintage-level lead tones, by turning up the initial volume and turning down the master volume a bit. Dave Hunter talks to some of today's biggest amp builders about some of the "wisdom" floating around about true tube tone. In a future installment I’ll discuss what goes on in basic output stage (aka power amp) topologies and how preamp and output stages interact to create your overall sonic picture. Dave Hunter is a writer and musician who has worked extensively in the USA and the UK. The author of "The Guitar Amp Handbook," "Guitar Effects Pedals, Guitar Amps & Effects For Dummies," "The Gibson Les Paul," and several other books. Dave is also a regular contributor to Guitar Player and Vintage Guitar magazines.